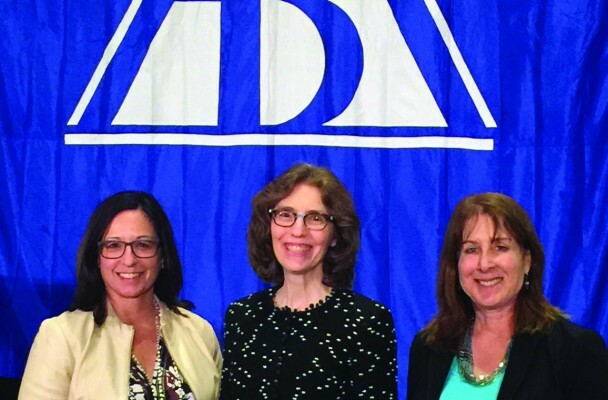 CBA President-Elect Patricia Jarzobski, ABA President-Elect Linda Klein and DBA President-Elect Nancy Cohen. Panelists highlight the advantages and disadvantages of existing reduced hours programs. 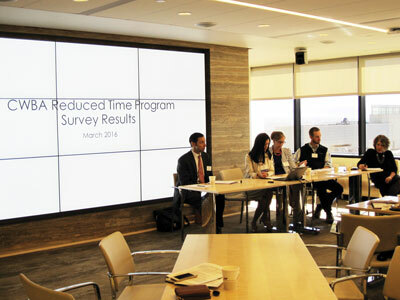 On March 11, the Colorado Women’s Bar Association (CWBA) hosted a leisurely yet productive tea and CLE program at Holland & Hart LLP on the successes and shortcomings of reduced hours programs. The featured panelists were CWBA President Jessica Brown, Kelly Cooper (Holland & Hart LLP), Todd Frederickson (Fisher & Phillips), and Erik Lemmon (Holland & Hart LLP). Judge (Ret.) Mary McClatchey was the facilitator. The 2016 B League champions, Eddie’s Favorites. The 2016 A League champions, BHFS Ballers. 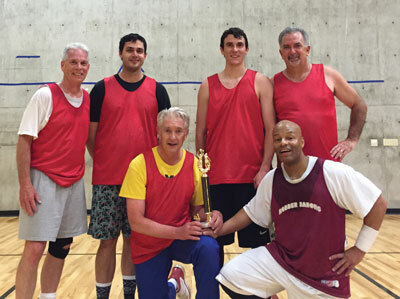 The Denver Bar Association Lawyers League Basketball’s version of March Madness concluded with its championship games for the year. 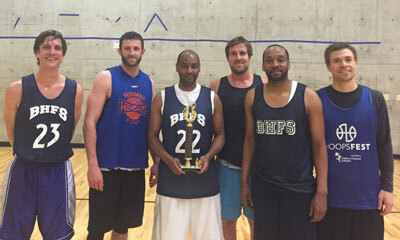 In A League, the BHFS Ballers defeated Starbury v. Madison. In B League, Eddie’s Favorites defeated GT. Congratulations to the 2016 champions! Julie Collett and Tren Ongert. The Denver Bar Association’s Community Action Network (CAN) held a drive to collect dental items from February 29 to March 11. Denver-area attorneys donated $1,192 worth of toothbrushes, toothpaste, floss and other items, as well as $817 in cash to benefit Kids in Need of Dentistry. 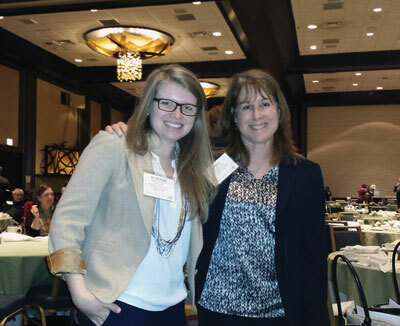 Incoming DBA YLD Chair Klaralee Charlton and DBA President-Elect Nancy Cohen. Leaders from the Colorado and Denver Bar Associations attended the ABA Bar Leadership Institute in Chicago in mid-March. This intensive program offered excellent insight into bar association governance, communication and leadership. St. Patrick’s Day networking in action. The DBA YLD held its monthly Barristers After Hours at the Curtis Club on March 17. The event boasted complimentary drinks and appetizers, along with some quality networking. 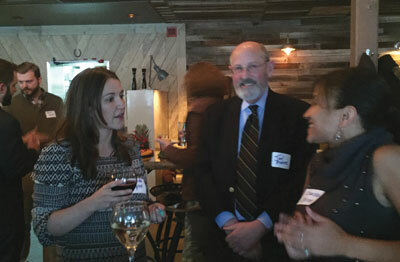 The March edition, which attracted approximately 65 attendees, also served as an informational launch party for the 2016 Docket Arts and Literature Contest.